Rome Marathon On the April 7th one of the world’s most scenic marathon routes takes place, winding through the historic centre of Rome. Let us advise you on the best viewing spots. Rome’s Birthday - Rome celebrates its 2772nd birthday (that’s a lot of candles) on 21st April. Expect a massive parade of armoured gladiators and toga-clad Romans. It starts at Circo Massimo, and makes a circuit around Ancient Rome via the Colosseum. Rome’s municipal rose garden, on the eastern side of Aventine Hill, reopens from Rome’s birthday on April 21st until June 16th. Leonardo da Vinci Centenary - May 2nd this year marks 500 years since Leonardo da Vinci breathed his last, and there’s a blockbuster exhibition examining his inventions at the Scuderie Quirinale ‘Science before Science’. 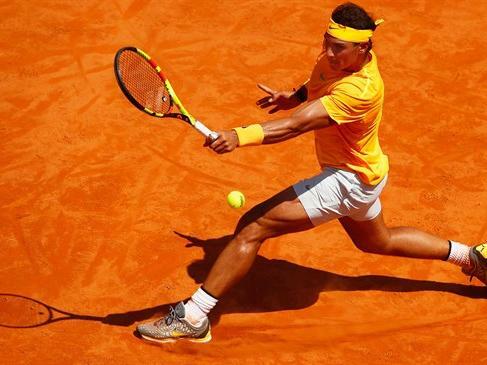 Italian Open Come to see Nadal defend his title for a record 9th time at the Italian Open from May 13th to 20th. Enjoy Italian wine & cuisine while watching the top players compete at the Foro Italico. Let us help you secure the best tickets for this spectacular event. Rose Petal Shower at the Pantheon 50 days after Easter, on June 9th, the Fire Department drop thousands of rose petals through the Pantheon’s central oculus, to remember the miracle of Pentecost, the descent of the Holy Spirit.